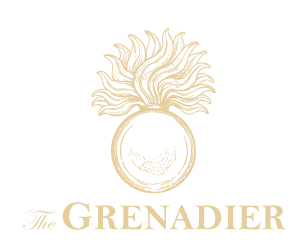 Legend has it that Grenadier is named after young Cedric, a soldier who was caught cheating at cards and punished by being beaten to death. No one knows exactly when this ghastly deed occurred, but it is thought to have been in September as that is when ghostly happenings are rife. Visitors hang money from the ceiling in an attempt to pay his debt, but poor Cedric seems to remain trapped on earth.